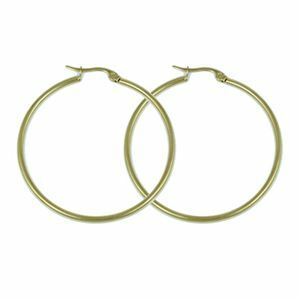 Elegant, bright gold hoop earrings. These classic hoop earrings will never go out of style. Wear them with your favorite locket to complete your look!